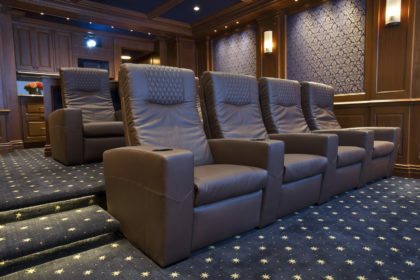 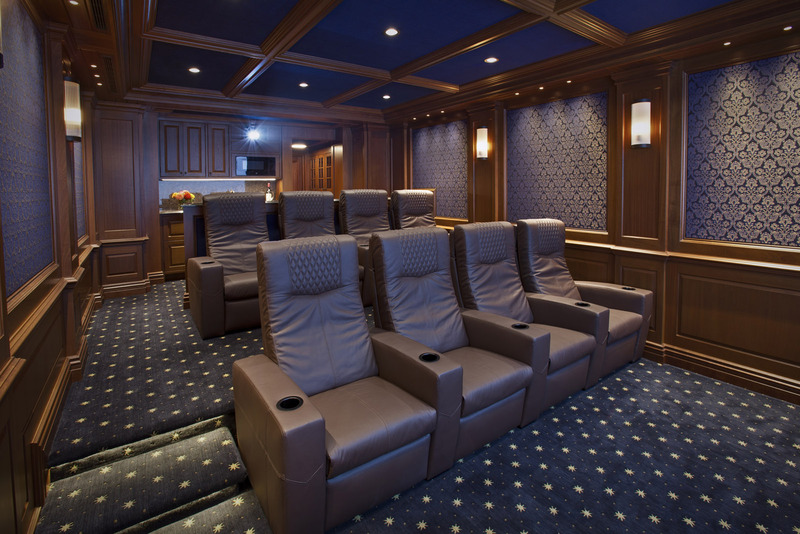 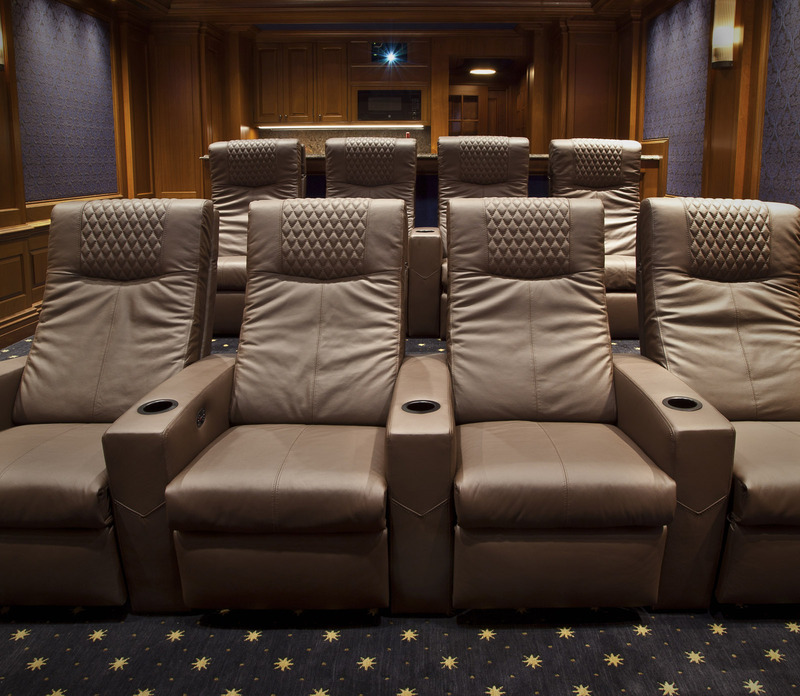 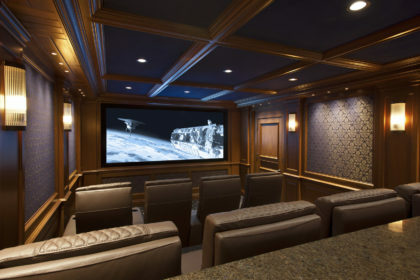 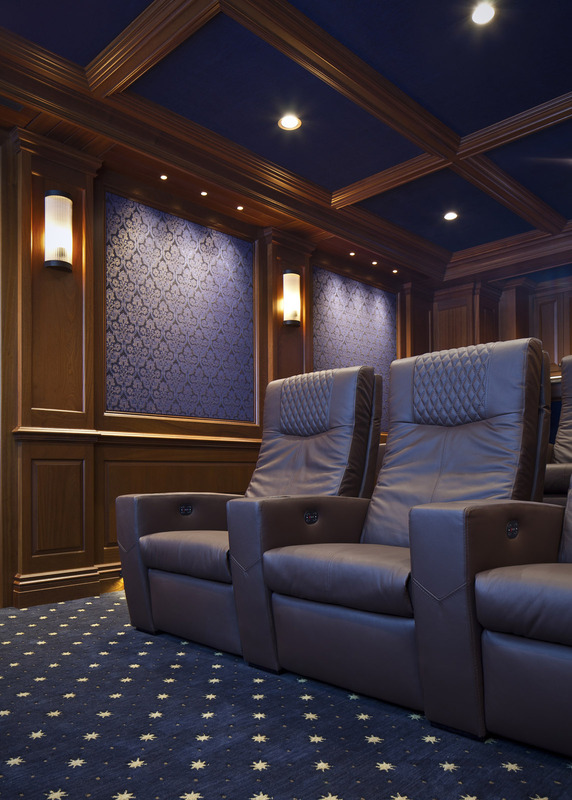 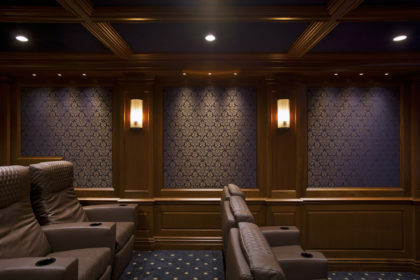 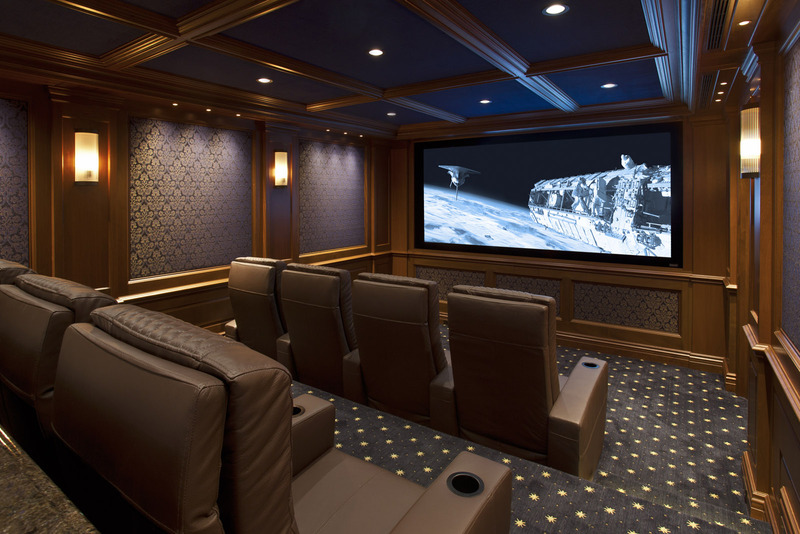 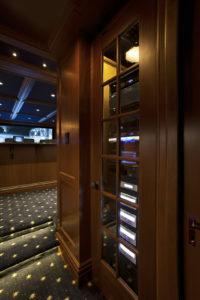 This project recently completed in Greenwich, Connecticut was the result of an enthusiastic client who wanted a comfortably elegant yet sophisticated environment to enjoy the home theater experience with his family. 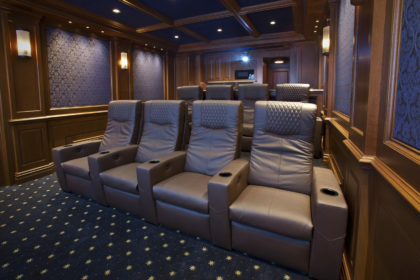 The theater, located on the finished basement level of a stately brick Georgian home, is intimate in scale with eight custom fabricated leather seats on two tiers. 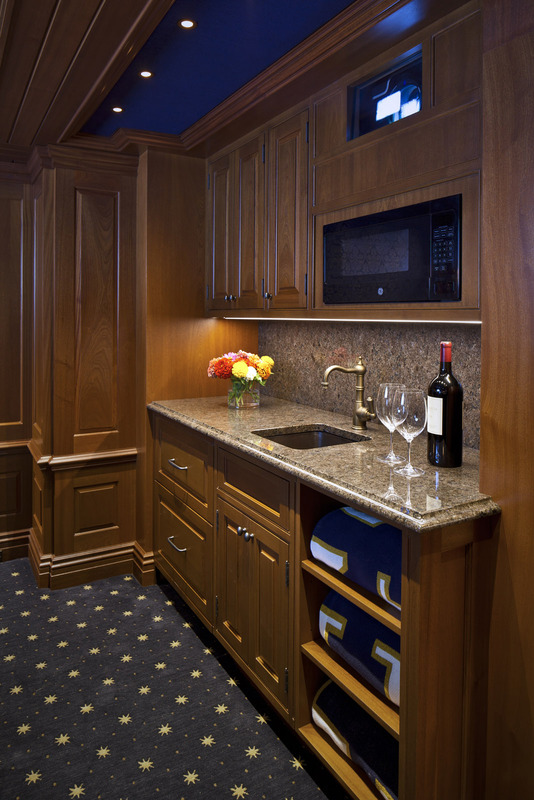 A snack counter with three additional seats backs the upper tier. 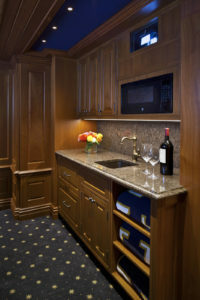 A kitchen area wet bar rounds out the space and is situated opposite the snack counter. 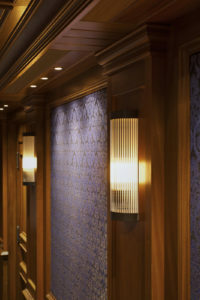 The bespoke nature of the project is evident in the detailing and finishes of the theaters component parts. Mahogany pilasters establish the tripartite rhythm of the walls and coffered ceiling. 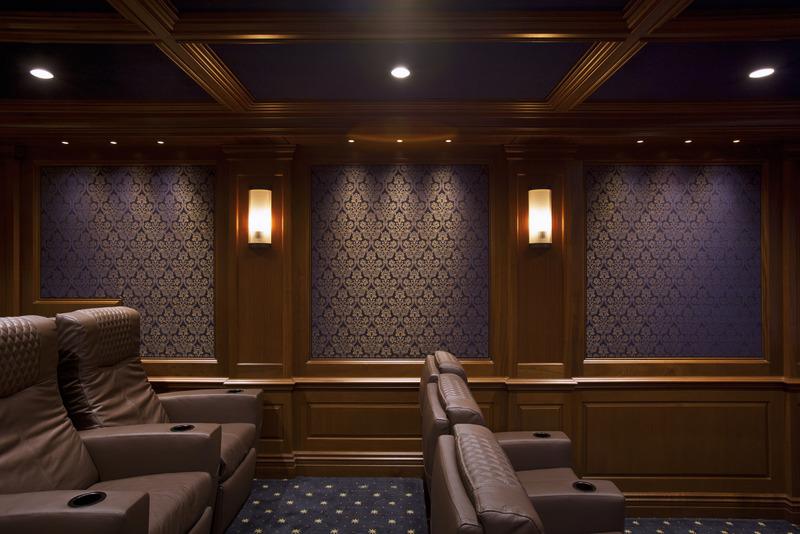 Fabric wrapped acoustical wall panels compliment the surrounding mahogany framework, chair rail, and raised paneling below. The theater’s audio/video systems were carefully chosen by David Kepke of Multimedia Resource Group to exceed the client’s high expectations for performance and represent state of the art technology. 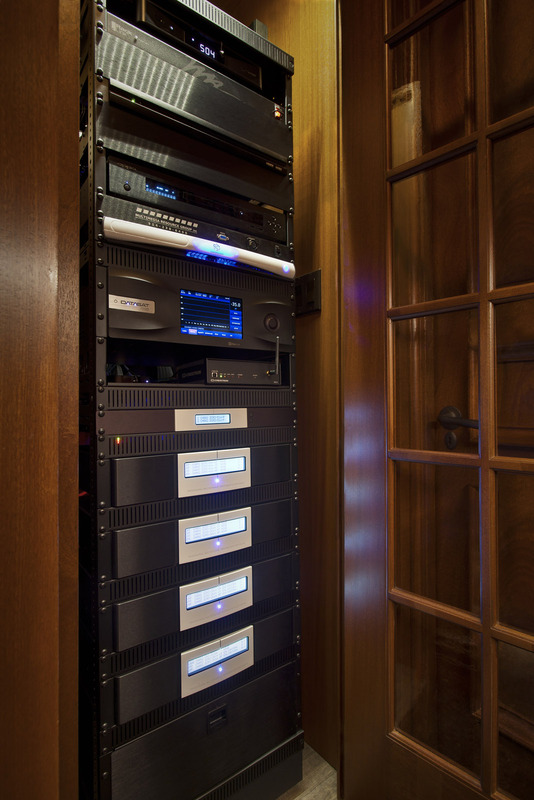 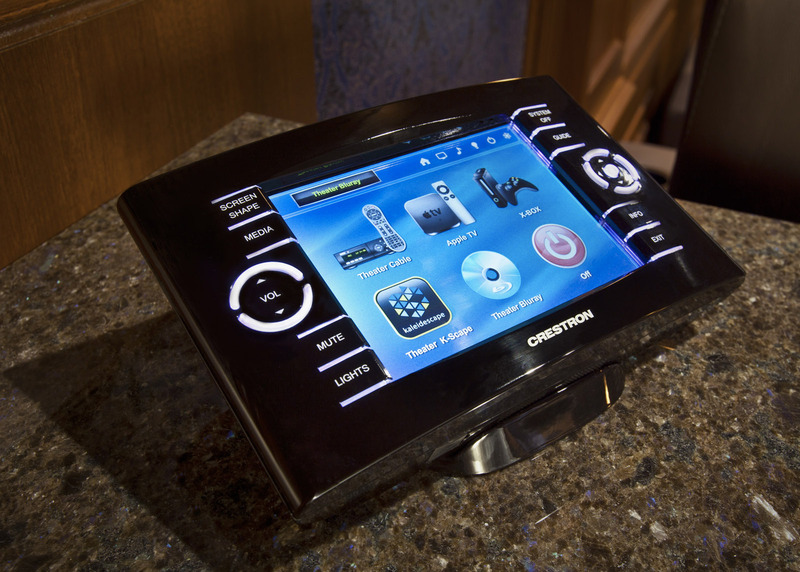 The audio system utilizes thirteen speakers, two subwoofers, and five amplifiers creating a completely immersive three-dimensional experience. 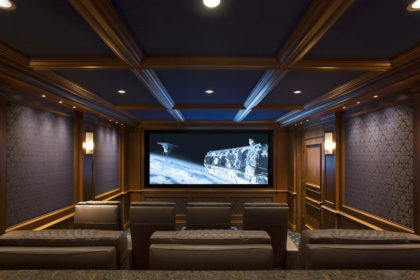 At the heart of any theater’s success, audio notwithstanding, is the quality of the projector. A world class projector manufactured by Sim2 was selected for its superlative image quality. Sim2 is also the manufacturer of choice for Hollywood Producers, Directors and “A-listers.” The stunning video images from the Sim2 projector are displayed on a 120” wide acoustically transparent movie screen in a layered mahogany picture frame. R.R. 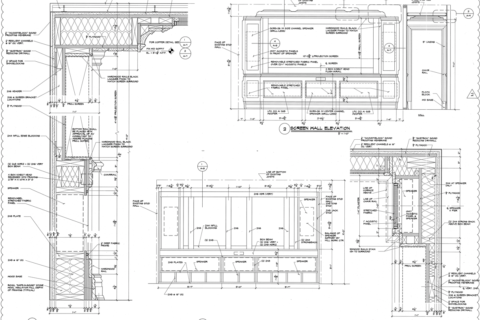 Builders of New Canaan, CT, was the general contractor for the project.